Holywell Haven is a lovely two bedroom detached holiday cottage, which is located in a tranquil village, close to the well known city of Truro in Cornwall. 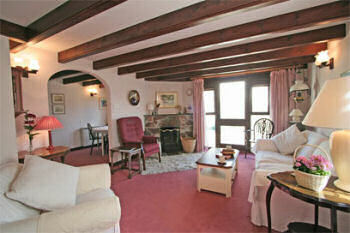 It is within easy reach of beaches on both the south and north coast of Cornwall. 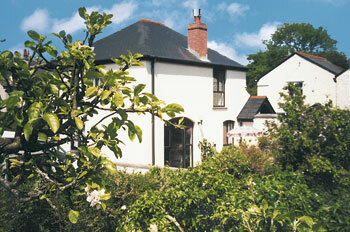 Loe Beach watersports centre is only 2 miles away and boat trips are available from both Truro and Falmouth. For golf enthusiasts, Killiow Park is just ½ mile. The King Harry ferry (1½ miles) gives access to the beautiful Roseland peninsula and St Mawes Castle. The N.T. gardens at Trelissick are adjacent to the ferry and the amazing Eden Project is well worth a visit (22 miles). Shop 200 yards, 17th century thatched inn ½ mile. The owners live adjacent and visitors enjoy use of their hot tub by arrangement. Two bedrooms. Beamed sitting room with open fire, door to patio and archway to dining room with beamed ceiling, archway to well equipped kitchen. Bathroom/W.C. (shower over bath). First floor: Double bedroom. Twin bedded room.